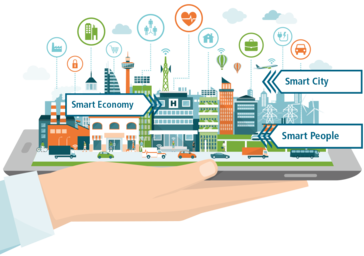 The Smart Cities and Communities project mySMARTLife celebrates its first birthday! 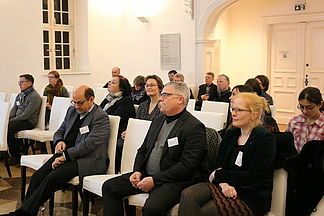 We would like to take this opportunity to review in this second edition of the mySMARTLife newsletter the actions developed and implemented in the three lighthouse cities Nantes, Hamburg and Helsinki and the multiple events where mySMARTLife partners have presented the project during the last months. 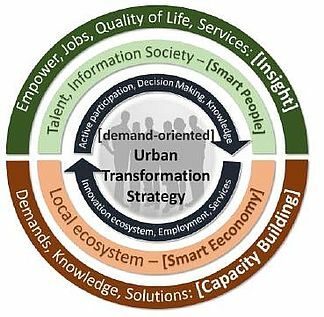 Furthermore, we will introduce the “Urban transformation strategy” to you and explain what is so special and innovative about this approach pursued within mySMARTLife. Besides, we will inform you about news from the cities, the project and our Smart City sister projects. We will also announce future events where you can meet the mySMARTLife Lighthouse and Follower Cities and get first-hand information. We hope you enjoy reading our newsletter and wish you a merry Christmas and all the best for 2018! Developing new ways on how to engage citizens in the city life and in an integrated city planning process is at the core of the mySMARTLife Urban Transformation Strategy. The Urban Transformation Strategy is one of the main mySMARTLife outcomes. It is based on the Smart People and Smart Economy concepts, adopting as main instrument an integrated Advanced Urban Planning. The strategy aims to support public authorities in the development of transition models on how to become a Smart City. Besides, Nantes Metropole aims at designing and implementing a new public lighting concept which will increase smart lighting innovation, optimise lighting costs and reduce energy consumption. mySMARTLife partner ENGIE designed new smart lighting solutions to respond to the citizens’ and operators’ needs and will deploy them during the first semester of 2018 in the demonstration district “Ile de Nantes”. In Lighthouse City Hamburg, an event series titled "mySMARTLife Walks & Talks has started where mySMARTLife actions in Hamburg are presented to the public. Talks are organised on a regular basis on different topics related to the project. The talks are already very popular with nearly 40 participants having joint the first two events. Besides, from summer 2018 onwards, regular walks through different buildings will give the opportunity to interested citizens to visit various demonstration sites where innovative smart city solutions are tested. Lighthouse City Helsinki tested vehicle to grid (V2G) systems in mySMARTLife. The first two-way charging point in Finland was installed in the Suvilahti district in Helsinki in connection with mySMARTLife project partner Helen’s solar power plant and electricity storage facility. The V2G charging point enables not only charging of an electric vehicle, but also using it as an electricity storage unit and for balancing of the electricity system. 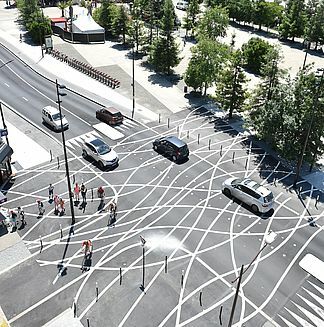 mySMARTLife partners LSBG and Deutsche Telekom AG will organise the 3rd mySMARTLife talk in Hamburg titled “Smart Points | Intelligente Straßenlaternen”. "Walk & Talk" is an event series in Lighthouse City Hamburg where mySMARTLife is presented to the interested public through talks and site visits. mySMARTLife Follower City Palencia is organising a “European Day” in order to inform local and regional press and media about Palencia’s institutional relations with Europe and the EU projects in which Palencia is involved, such as mySMARTLife. Also, an exhibition stand and public activities for citizens will be organised. Lighthouse projects family gains three new members: Welcome to STARDUST, IRIS and MatchUP! We welcome the latest three members to our Lighthouse projects family! In October and November 2017, the three projects STARDUST (with the LHC Pamplona, Tampere and Trento), IRIS (with demonstration areas in Utrecht, Goteborg and Nice) and MatchUP (gathering the LHC Valencia, Dresden and Antalya) have started.